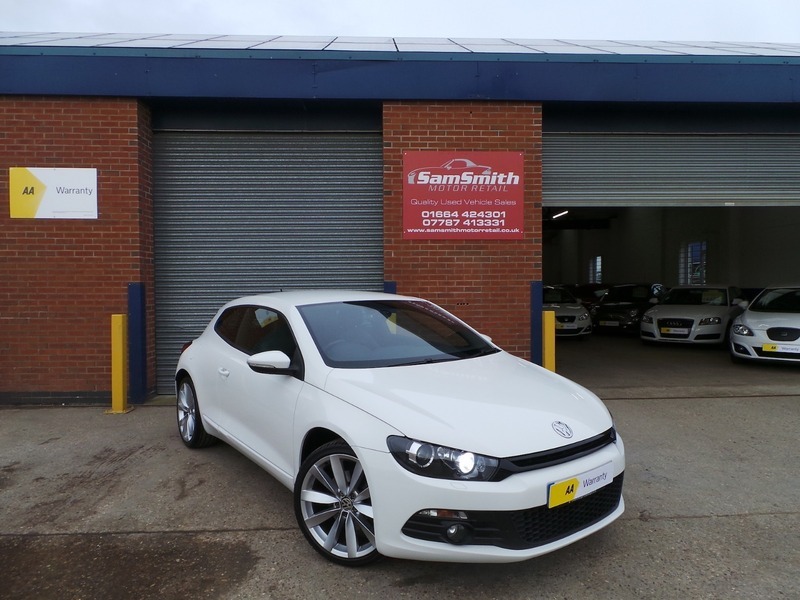 We are proud to offer for sale this immaculate Volkswagen Scirocco. The looks stunning in white, especially with the very sought after 19" Lugano wheels and Xenon headlamps. Drives without fault and a fantastic service history this car wants for nothing and really is one too own. 210BHP from the excellent VW 2.0 TSI engine gives this car amazing performance with realistic running costs! All of our cars go through a very thorough workshop inspection, get freshly serviced if needed and come with a 3 month fully comprehensive (parts and labour) warranty and AA cover. Every car we sell is HPI clear with certificates to prove. LOW RATE FINANCE DEALS AVAILABLE. Open 5 days a week and weekends by appointment. Please call for availability & viewings.